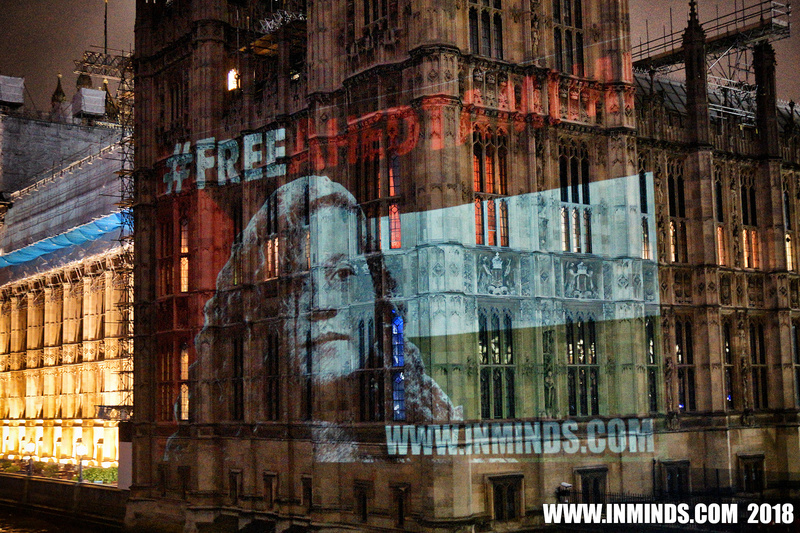 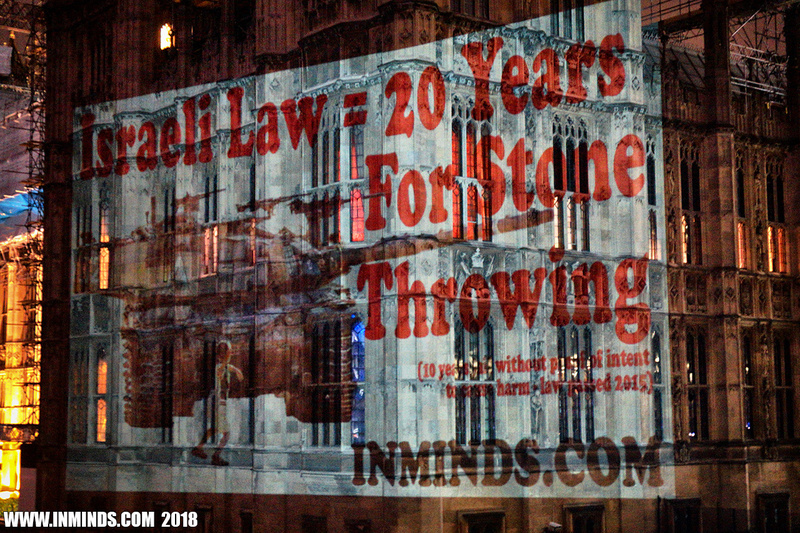 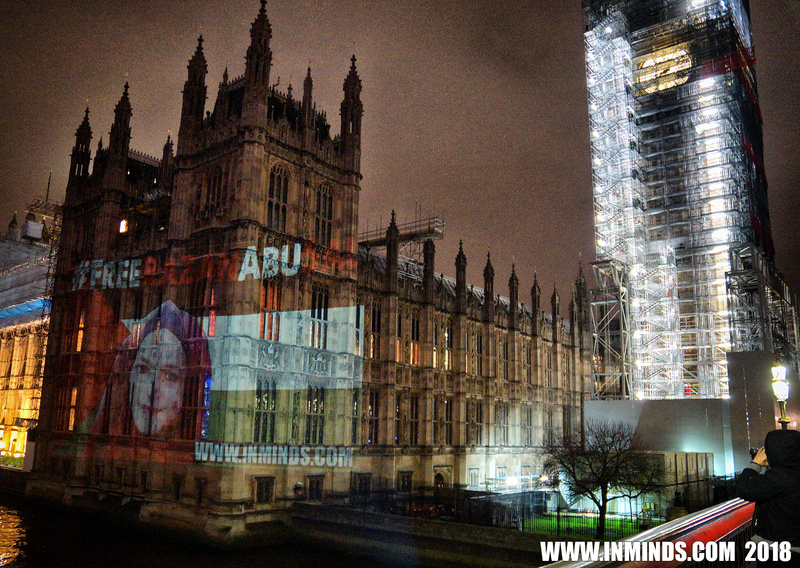 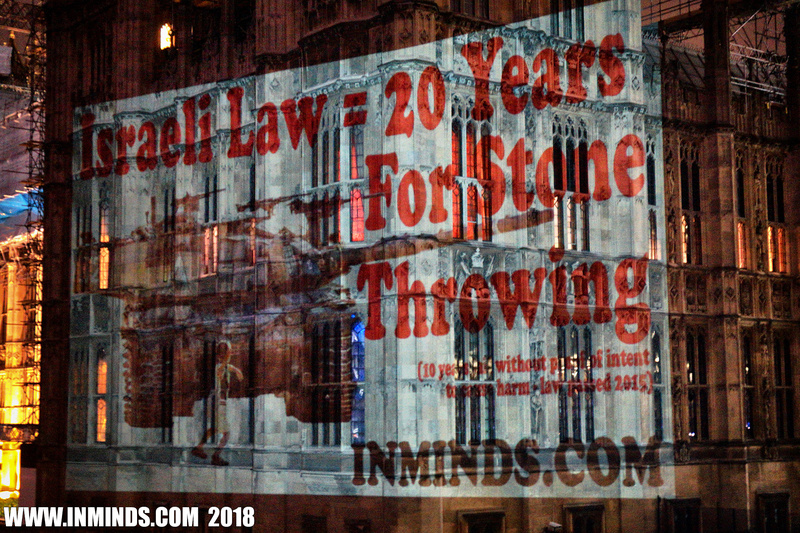 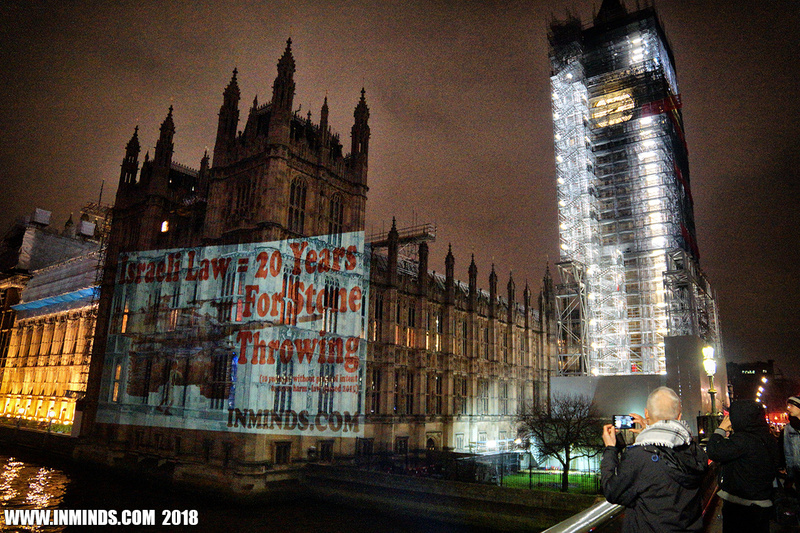 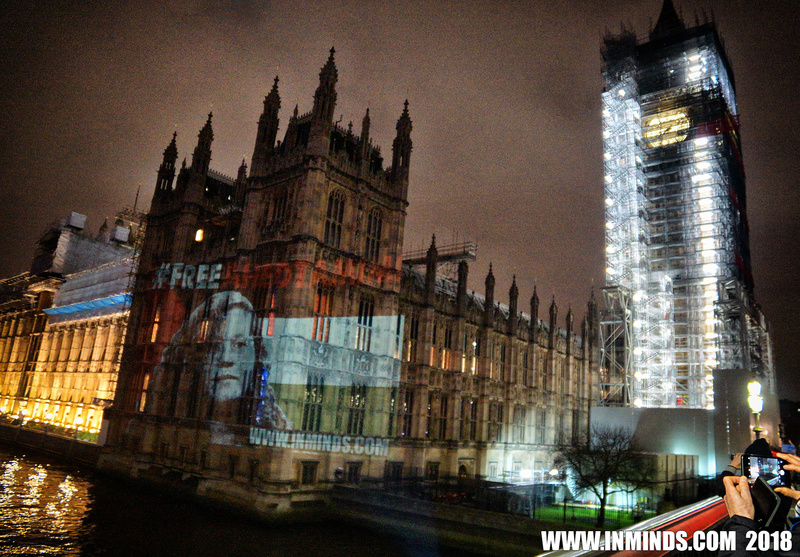 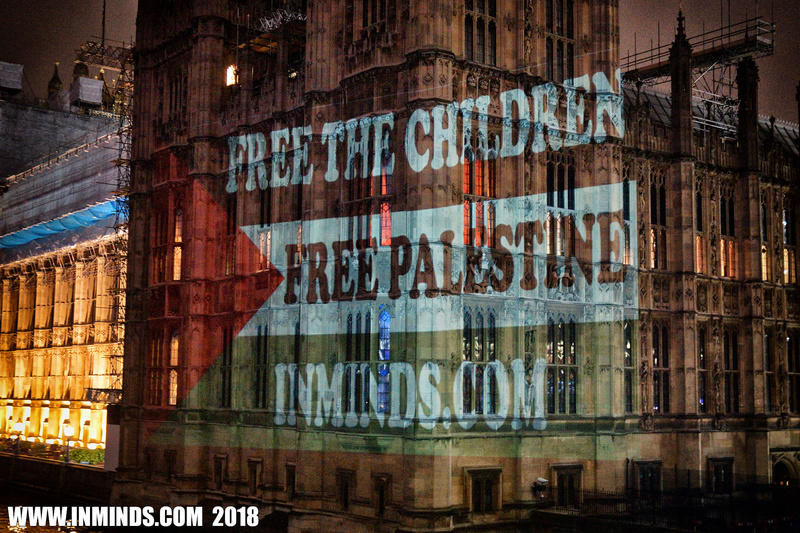 On the evening of Friday 26th January 2018, Inminds human rights group undertook a guerilla projection on the walls of the Palace of Westminster, to highlight the plight of Palestinian child prisoners in Israel dungeons. 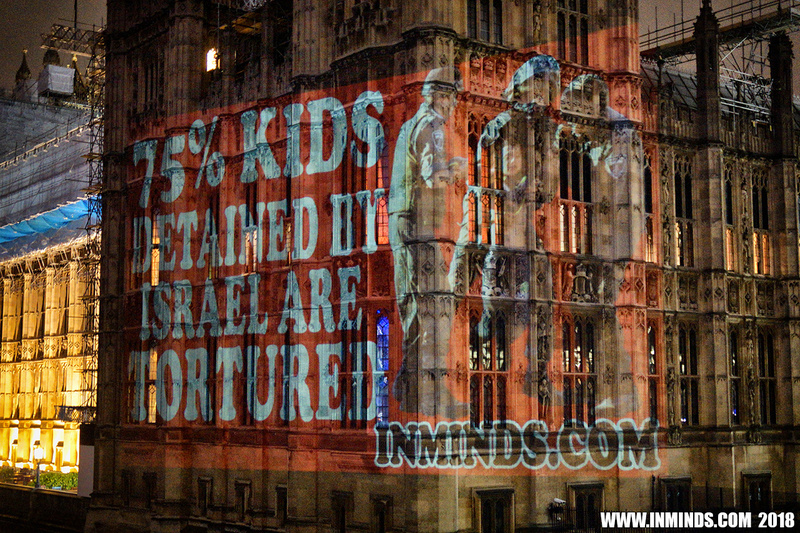 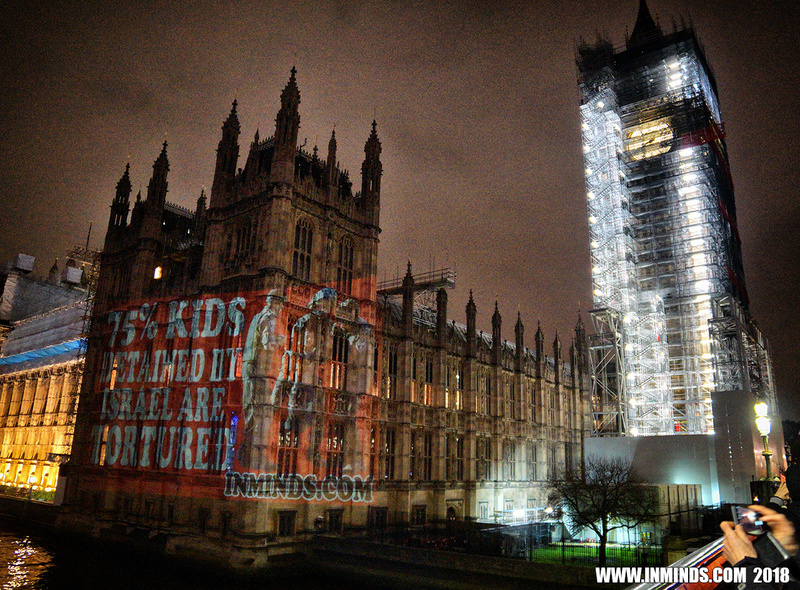 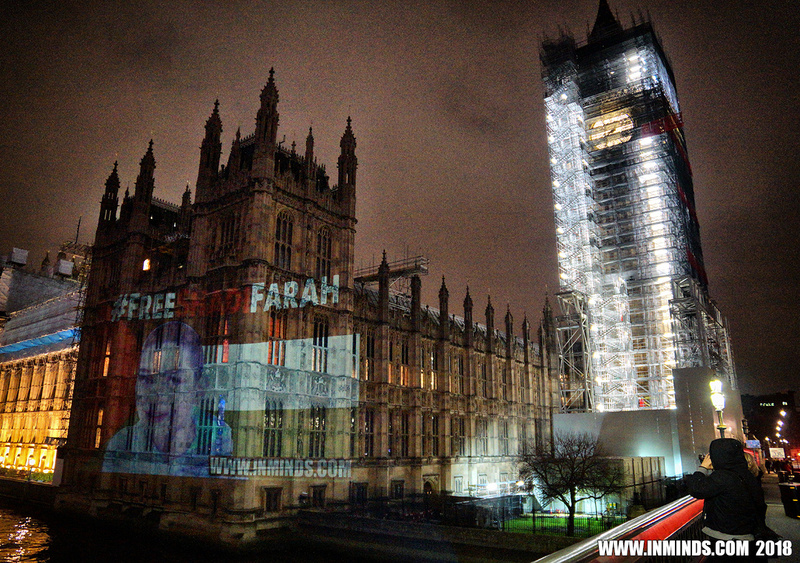 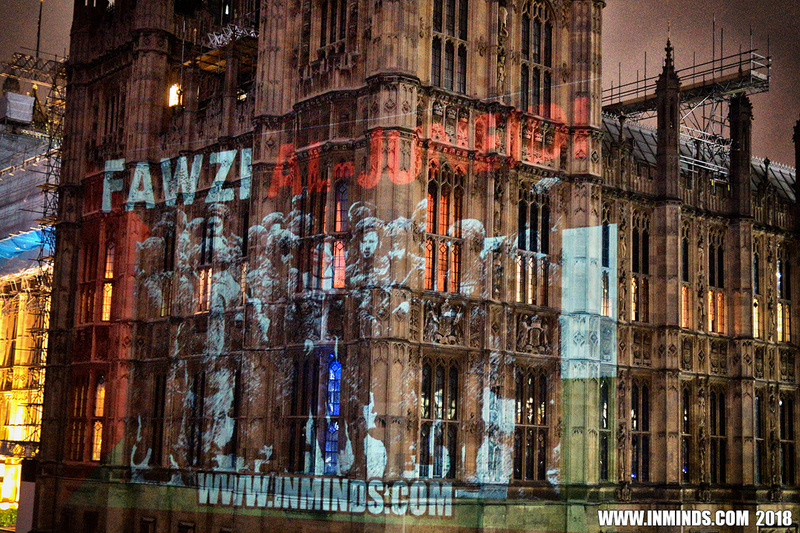 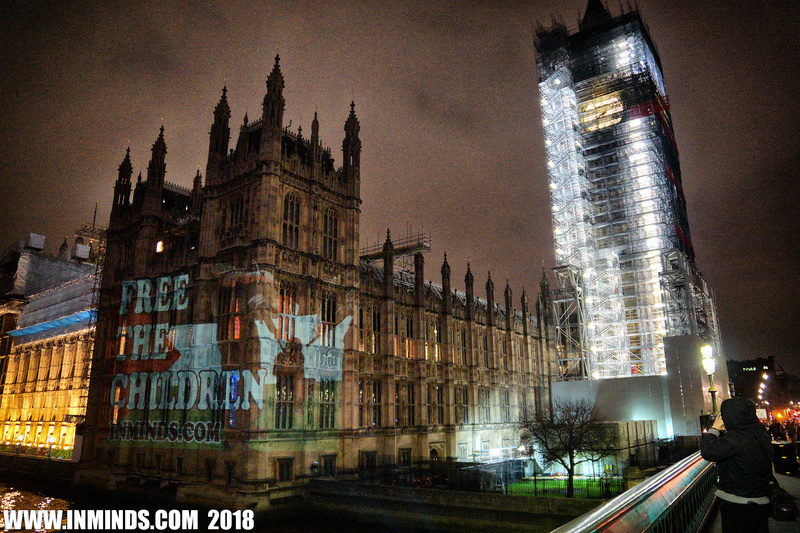 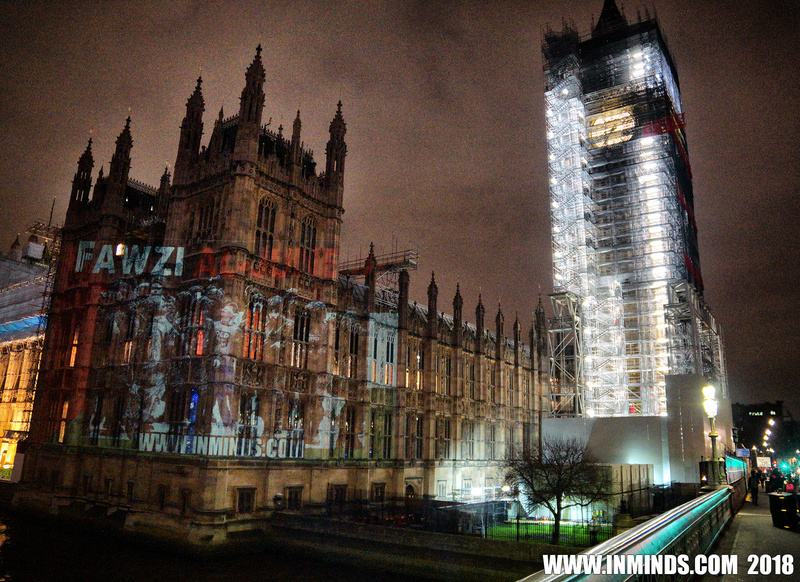 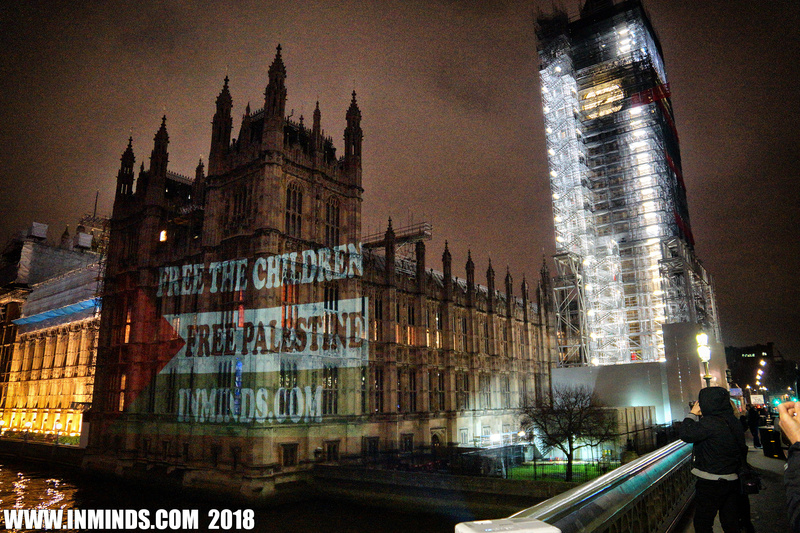 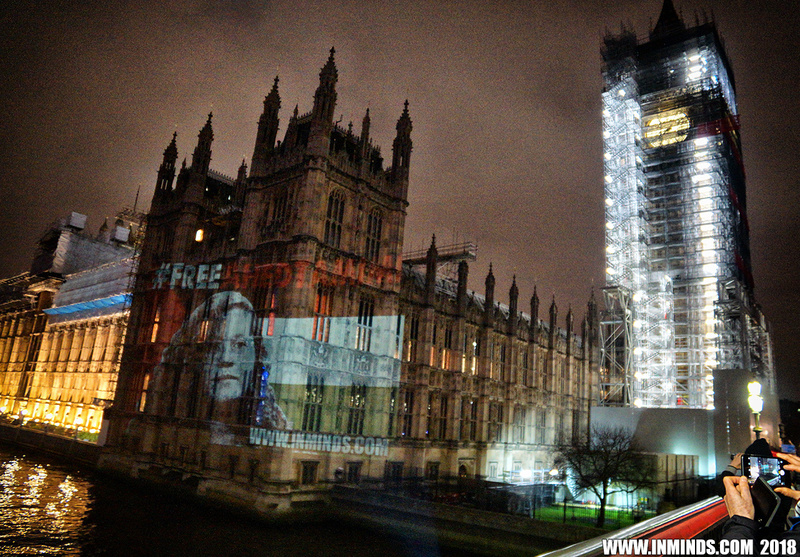 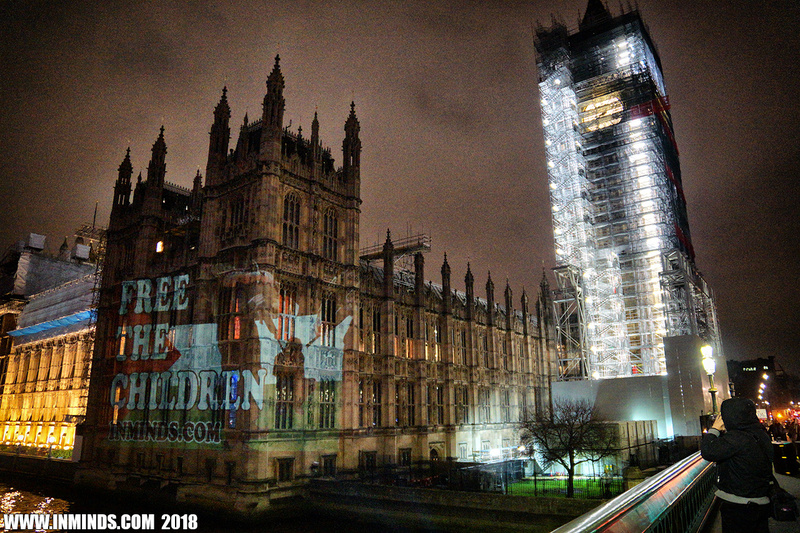 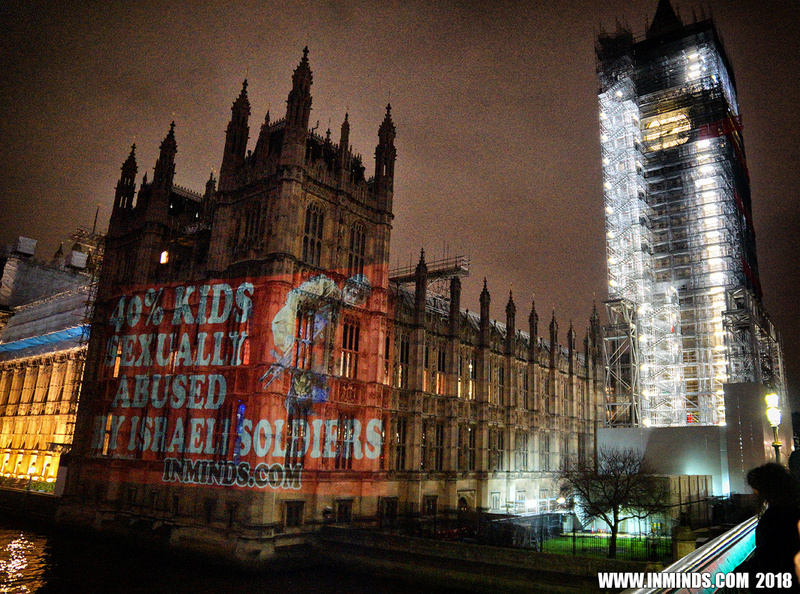 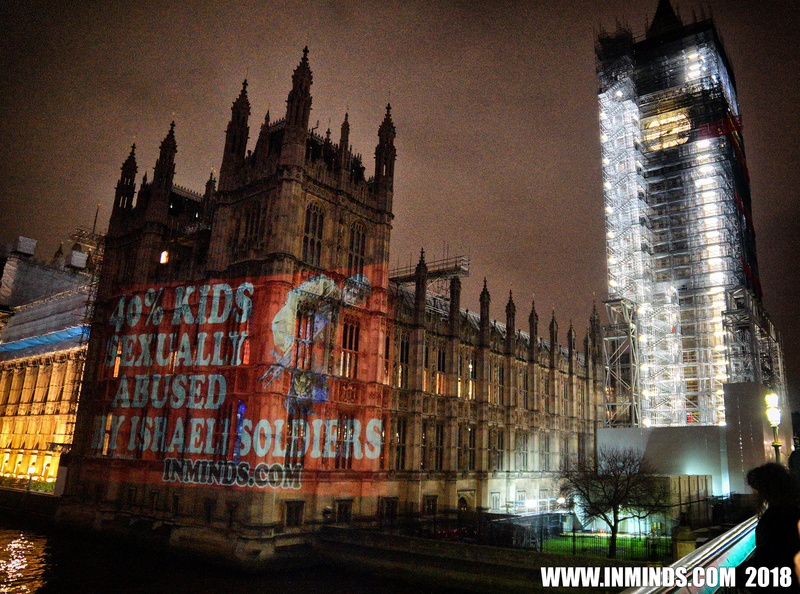 Over a dozen slides depicting facts and figures about Palestinian child prisoners held by Israel, including recently abducted children, were projected onto the the British parliament. 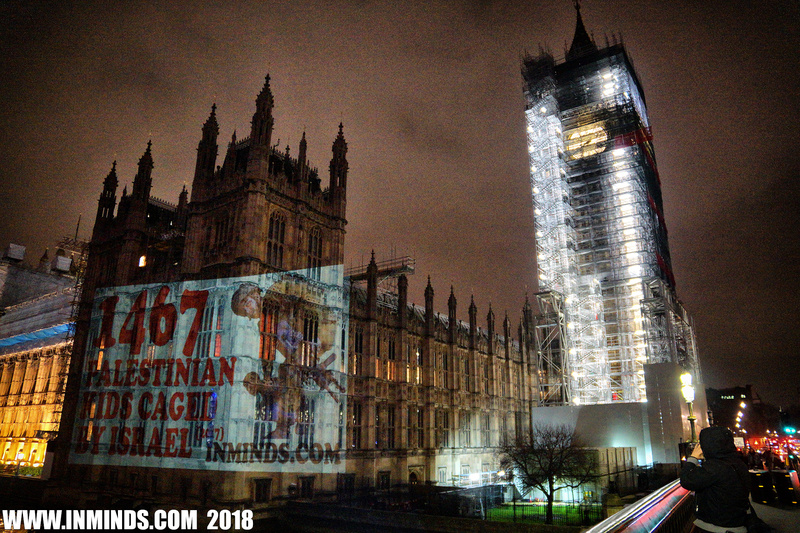 Inminds chair Abbas Ali said "In the last 12 months 1,467 Palestinian children were caged by Israel, that's one child taken from their family every 6 hours. 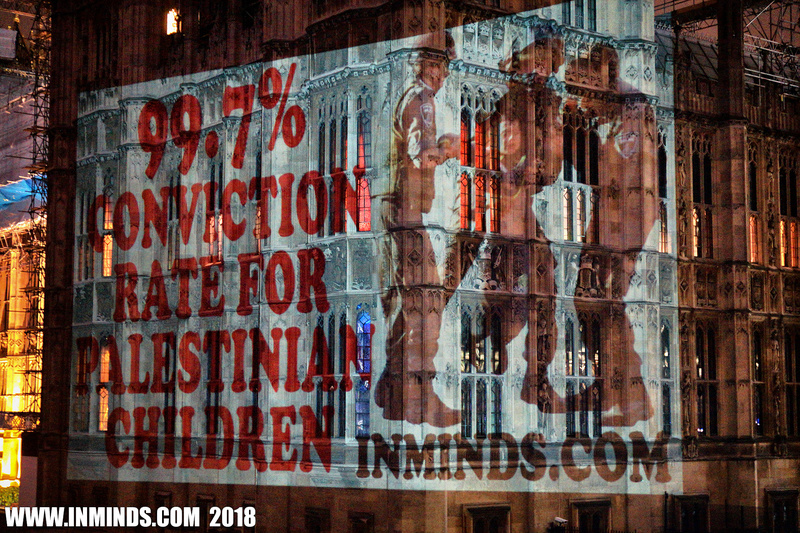 To put a face to this shocking statistic we chose 4 Palestinian child prisoners - two girls and two boys - and projected their images on to the seat of the British government. Their stories are the stories of every Palestinian child.. of living under military occupation.. of illegal abduction by occupation forces.. of being shackled and blindfolded whilst being abused by Israeli soldiers (40% of children taken in Jerusalem were found to have been sexually abused by the soldiers).. of torture during interrogation to coerce confessions (75% of the children are physically tortured).. of being processed by a rubber-stamp conveyor belt military court which finds 99.7% of all Palestinian children guilty of whatever charge the the military concocts.. of being handed down outrageous sentences like up to 20 years for throwing a stone.. to imprisonment in 1m x 3m cages not fit for animals. 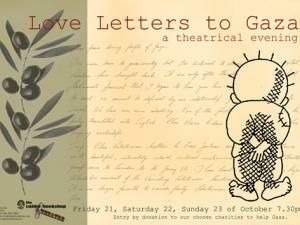 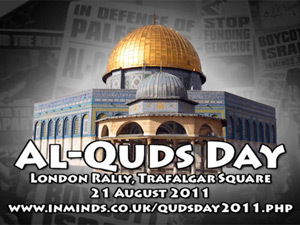 We hope the British government will take notice and think twice before providing Israel the weapons that sustain this illegal occupation." 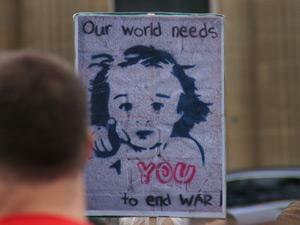 The projection was unfortunately interrupted when two police vans pulled up with a dozen policemen bursting out and surrounding us. They initially invoked anti-terror legislation when we refused to share our details with them, but they backed down when we pointed out how ridiculous that sounded when the only weapons we had was a projector and camera. 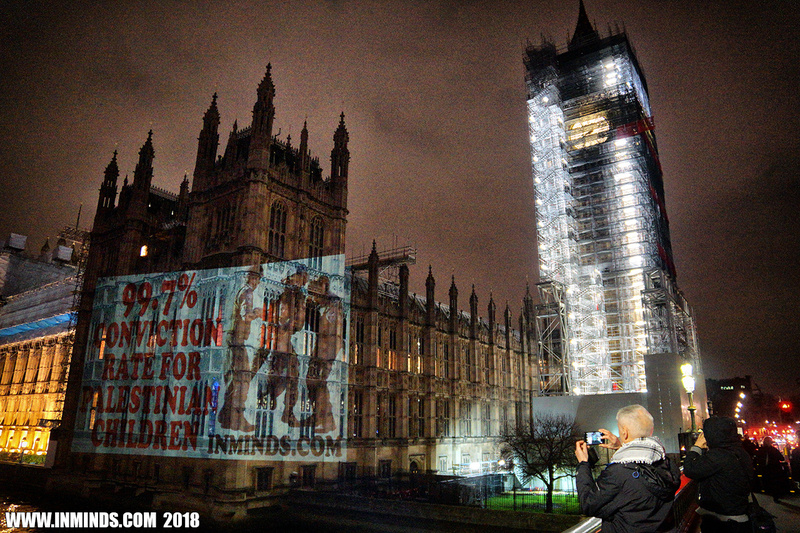 They did however insist on a private viewing of our projection before letting us go, we where happy to oblige and provided a running commentary for each slide giving the background details.. for some reason they kept on rushing us and eventually stopped us before we got to the end. 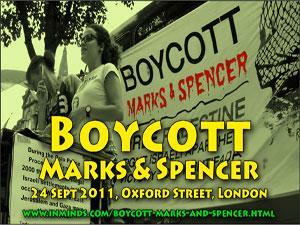 They left us a souvenir in the form of a Stop & Search record sheet. Four child prisoners - their stories are the stories of every Palestinian child..
With his condition rapidly deteriorating, he was finally given bail 14 days later, on ransom of 10000 shekels. 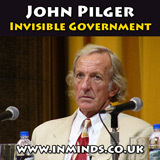 As soon as he was released he was rushed to hospital. After the video went viral, armed soldiers raided the Tamimi house in the early hours of the morning and abducted Ahed. 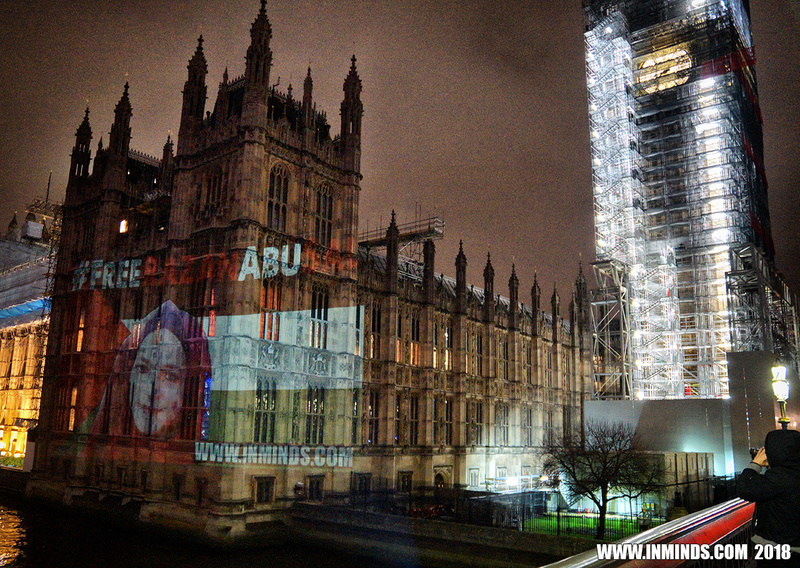 When her mother Nariman went to the police station to support her daughter she too was arrested. 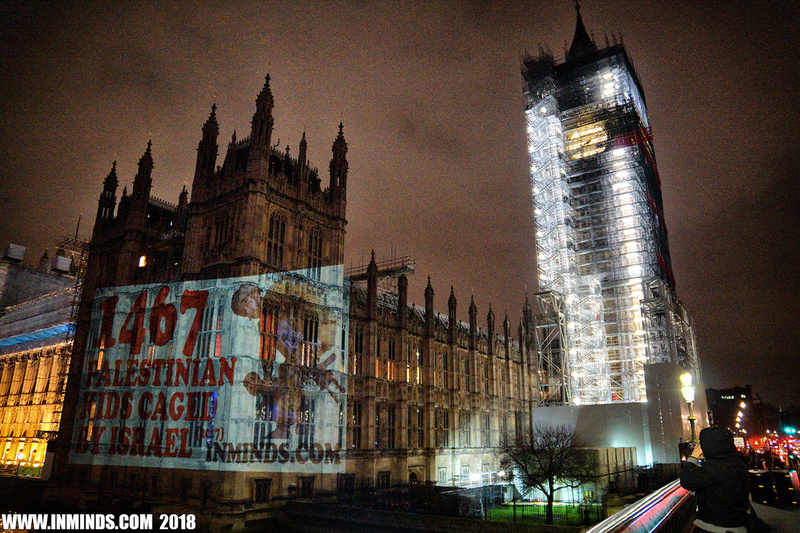 Both mother and daughter are caged at Israel's notorious HaSharon prison facing multiple charges of resisting the occupation. 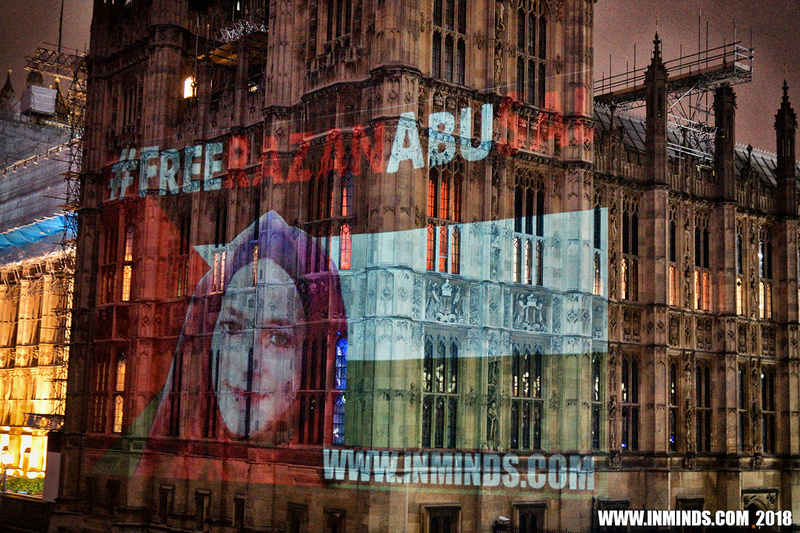 If found guilty by the military court, which has a conviction rate of 99.7% for Palestinians, she could face over 20 years imprisonment. 12 years old Shadi Farah was abducted by occupation forces in December 2015 whilst waiting for a bus in Jerusalem. 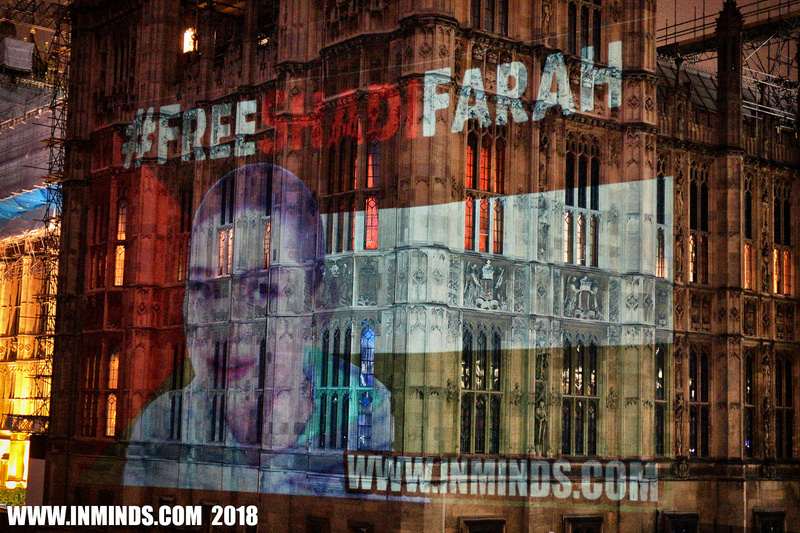 In a letter to her mother on her birthday Shadi wrote: "I want to tell you to keep your head high in the sky just like palm trees, never shaken by winds nor earthquakes, and I want you, my mother, to be proud because what I am going through is a test from God. 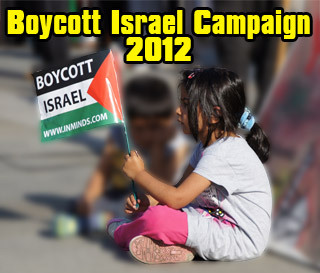 I want you to convey my greetings to my relatives and friends and my brothers and sisters, especially Rayan." 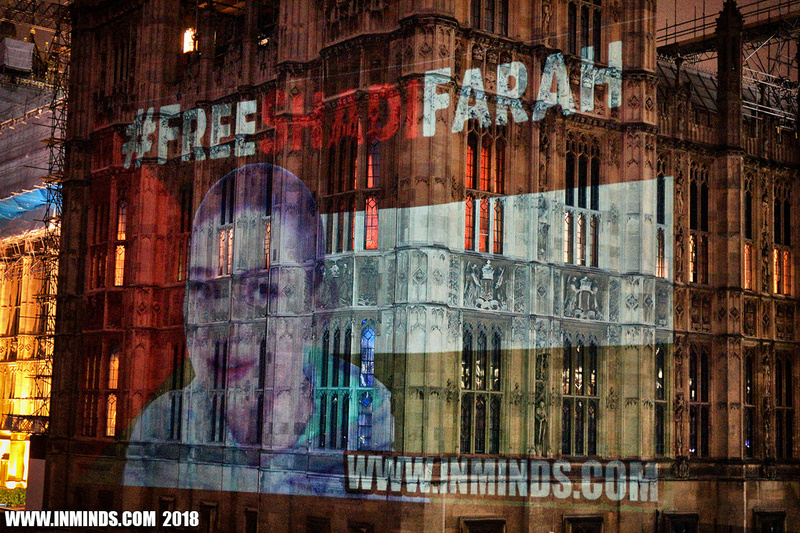 Shadi is still behind bars. 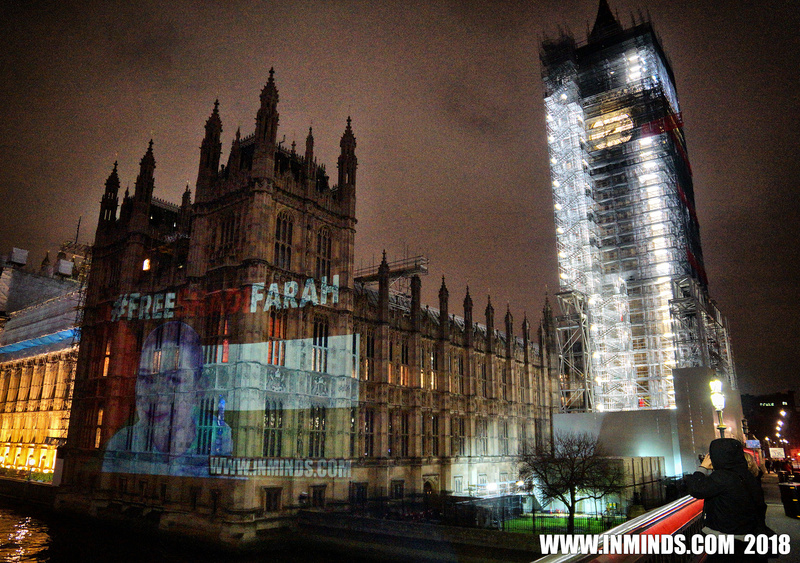 Following a 12 months imprisonment without charge or trial, he was sentenced to a further 2 years in prison. 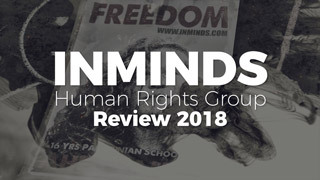 He was subjected to torture during interrogation with the interrogators stripping him naked and forcing him to sit facing the air-conditioner. 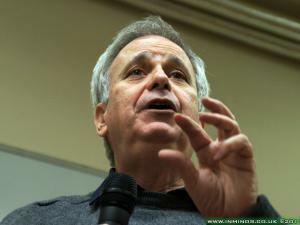 They shaved all his hair off as a form of psychological torture. Despite consistently maintaining his innocence, his interrogation continued in the detention. 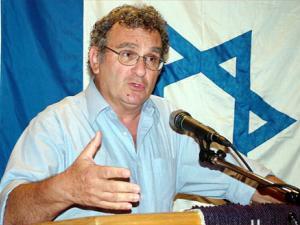 He lost a lot of weight, and is currently suffering from eye and ear infection and chronic headache. 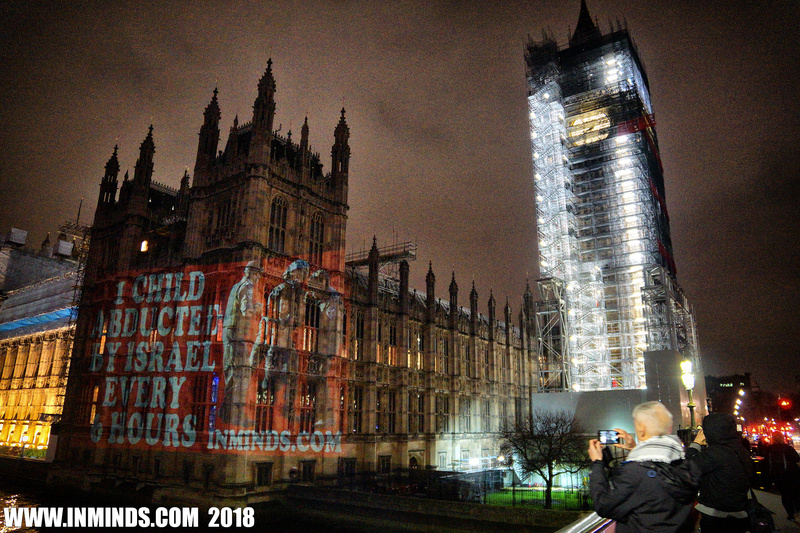 13 years old school girl Razan Abu Sal was abducted with her sister by Israeli soldiers near the Ibrahimi Mosque in Al Khalil on 13th January 2018. Like most imprisoned Palestinian children she was accused of throwing a stone and sentenced to 4 months imprisonment and fined $800 USD.